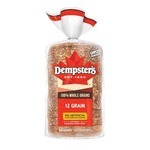 Dempster's 100% Whole Wheat sliced bread is baked fresh daily and perfect for toast or delicious sandwiches! Fraîchement cuit au four chaque jour, le pain tranché de blé entier à 100 % Dempster's est idéal pour des rôties et des sandwichs délicieux! I tried this bread for free for the @FamilyRated .What a fresh, wholesome tasting whole wheat bread.I love the thick slices and how fresh it was. It's the perfect size slice for making sandwiches. I love the fabulous taste, perfect with a little butter on it & a cup of coffee.I also used this bread to make bread pudding and I loved it. I have never made bread pudding with whole wheat bread before but now I will always use Dempster's 100% whole wheat sliced bread. 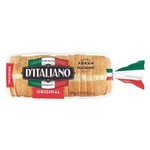 It is now a staple on my grocery list, great bread at a great price. I really enjoy the 100% whole wheat sliced bread it’s bread for making sandwiches for my boys lunch for school also for breakfast. It my favorite whole wheat sliced bread.sliced. I really like the bread I would recommend it to my friends and family. Great tasting soft whole wheat bread! I received a free coupon from Family Rated to try this product. 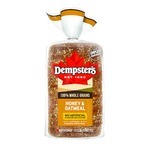 I love how soft and fresh Dempster's whole wheat bread is! Great tasting toasted or not and a nice size piece of bread. I would recommend this brand and will buy it again in the future. First time i got this bread was wih a coupon i received from Family Rated. Very good choice i loved it. It was soft and fluffy perfect for toast. I am definitely buying this product again it was so good it only lasted 1 day in my house. 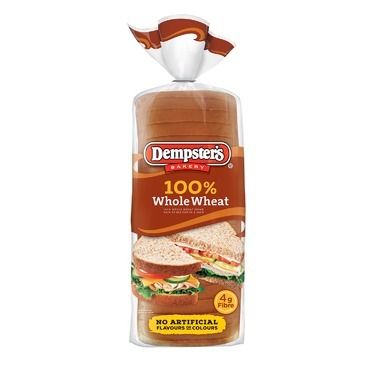 I got to try Dempster's 100% Whole Wheat sliced bread for free. It was absolutely delicious! I usually buy white bread when shopping so this was a new experience. I will definitely buy this again. I wish the product was abit cheaper so I may be waiting for sale times but I really enjoyed it & the family ate every slice! We toasted it with peanut butter & jam. It kept very soft the whole time we had it and it was all eaten up within 3 days! Thank you so much for allowing me to try this amazing Canadian bread. I highly recommend. Nice soft whole wheat bread, perfect for sandwiches or toast. The price was good for a good loaf of sliced bread. I would definitely repurchase. It's not super seedy or grainy like other types of whole wheat so if you want something like white bread but want some whole grains this is a good choice. My kids didn’t even notice the difference of whole wheat and the regular white bread I buy. We did enjoy this bread as toast, sandwiches and even French toast. I liked the ingredients, bread stayed fresh and soft and we actually finished the loaf. I would buy again for sure. 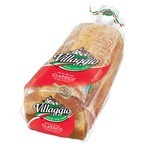 I did receive a coupon to try this bread out for free and share my opinion. This bread is so good since the first time I purchased it. The slices used to fall apart on me but this bread is so much more solid. The smell is very fresh & the taste is so good. It's a must try & I am sure you'll like it.